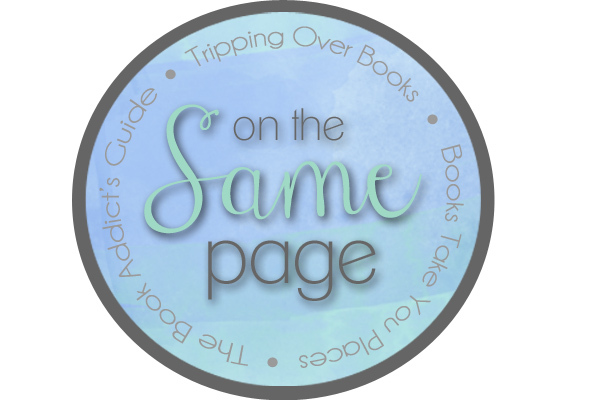 March’s choice for our On the Same Page read was The Lies of Locke Lamora by Scott Lynch. If you aren’t familiar with the book, the best way I can describe it in a nutshell is a sort of fantasy Ocean’s 11. The book takes place in a fantasy world, mainly in the town of Camorr where Locke Lamora and his gang or marry thieves case the city in pursuit of their next big job. The book alternates back and forth between the “present day” story line and backstories of Locke Lamora as well as snippets of history and backstories of other minor characters as well. One of my favorite things about this book was the Gentleman Bastards themselves (Locke’s gang). The gang of orphans was “raised” by Father Chains, the “blind priest of Perelandro” (honestly, so many things have to be put in quotes because as with any group of specialty scoundrels, nothing is what it seems) and taken in specifically for their special talents which Father Chains took great care to help them fine tune. One of the things I loved so much about the Gentleman Bastards was obviously their cunning knack for disguises, costumes, and mummery, but I loved how each member of the gang had a specialty and a very specific role in the gang. Locke Lamora is very much the master of disguises. He could accommodate for any role with accents, facial expressions, costumes, body language, and anything else he could possibly change about himself to become a different person entirely. There is no one else as good as Locke when it comes to impersonating another man, real or fictitious. He’s also the brains behind ALL of the operations. Locke Lamora is first and foremost a clever man and all of the plans stem from his brain before they ever get put into play. Jean Tannen is the muscle of the group and he’s Locke’s right hand man (and seriously check out Alyssa’s post regarding their bromance because it really is one of the best I’ve ever read — And I also have a serious crush on Jean). He’s trained specially for fighting of all sorts and where Locke severely lacks in the self-defense aspect, Jean is always there to have his back. Calo and Galdo are more of jack of all trades. They’re twin brothers, also experts at disguise though not as good as Locke, and they’re sort of the support system of the team. They fill in any extra roles the group might need, constantly bobbing in and out of play and working with a lot of behind the scenes set-up as well. And young Bug is the rookie of the group. He does a lot of brunt work since he’s the young one and obviously the newest to the gang and he also acts as a lookout when the Gentleman Bastards need one. Because of his age, he’s also able to get away with a few things that the older men can’t. I think the thing I appreciate the most is that although Locke is the title character, he isn’t without flaws. He has definite weaknesses but he isn’t ashamed to admit them and he allows the rest of his team to rise up to glory in their own specialties. He knows that he can’t do these jobs alone and he doesn’t try to. Most notably for me was Locke’s reliance on his best friend and support Jean Tannen. Locke knows Jean always has his back and Jean will always be there for Locke, whenever he needs him. These two especially would risk their lives for each other and do on a number of occasions. The whole group works together not only to complete their jobs but to protect each other and help each other no matter the cost. I love their friendships and bonds between all of these characters and it really just adds another layer to the entire book. The amount of detail that Scott Lynch puts into knitting this group even closer with every obstacle they face really makes the book that much more special. I love books with a cast of characters who work together on one big job or mission! I think it really helps establish minor characters as well as giving the spotlight to main characters without having them be unreasonably talented. Here are some of my other favorites from books to TV featuring a great cast of characters, (somehow they’re usually surrounding heists…) and let’s be honest… You should probably just go watch/read these right now. Well there you have it! I love books and TV shows with awesome ensemble casts and gangs of characters who work together to get a job done. Keep an eye out for my review of THE LIES OF LOCKE LAMORA, coming soon! In the mean time, you should really pick this book up and read it because even though it’s a big hefty (my mass market was just over 700 pages), it’s a really fun read and absolutely worth your time and effort! I’m already dying to read the next books in the series! Don’t forget to check out Alyssa’s and Amy’s posts for The Lies of Locke Lamora today too! This entry was posted in Books, Discussion and tagged Discussion, Ensemble Cast, Gangs, On the Same Page, Scott Lynch, The Lies of Locke Lamora on March 31, 2014 by Brittany.